Centrifugal vertical single-stage pumps, directly derived from our series NCM (design according to ISO2858). Maximum length of shaft is 5m. Standardconstruction for rotational velocities up to 2900 rpm. The discharge pipe is always separated from the support one. Radial bearings are normally lubricated by pumped liquid, if it is completely free of suspended abrasive particles. Either a packing gland or a mechanical seal can be assembled on the shaft whenever dealing with special liquids or high pressures. In these cases seals are flushed with the handled liquid and forced lubrication is designed for radial bearings. If pumped liquid is slightly abrasive radial bearings can be lubricated through clear fluids from an external source. Independent thrust bearing, sleeve bearings lubricated by pumped liquid, lateral discharge column. Mechanical seal is generally not required. Open impeller suitable for liquids containing solid suspensions. Bearings are positioned into the motor support and they are not in contact with pumped liquid. 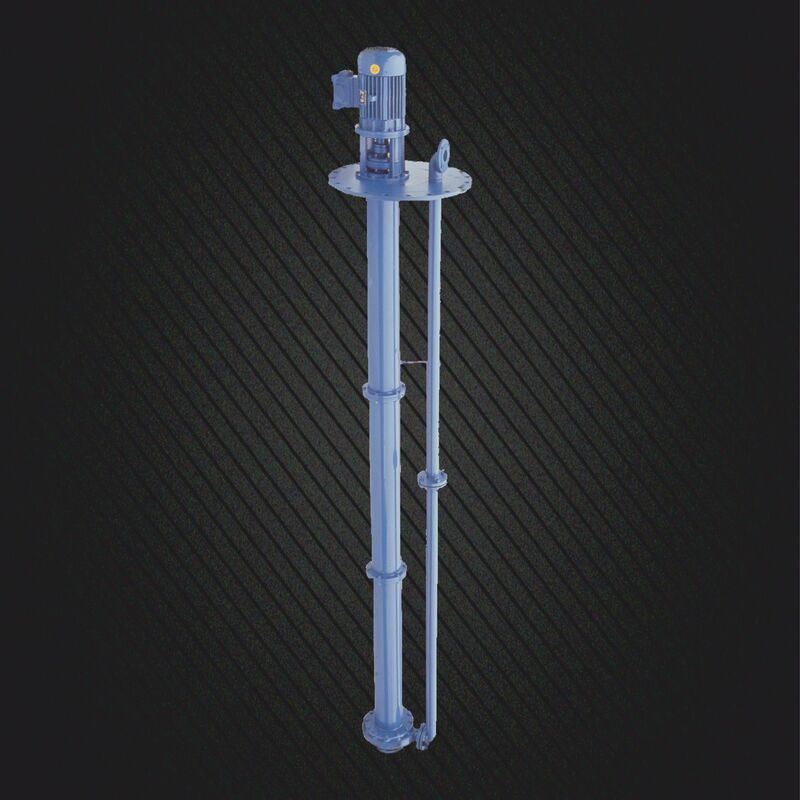 Shaft is designed for maximum length up to 1500mm at 1450rpm and up to 1200mm at 2900rpm.